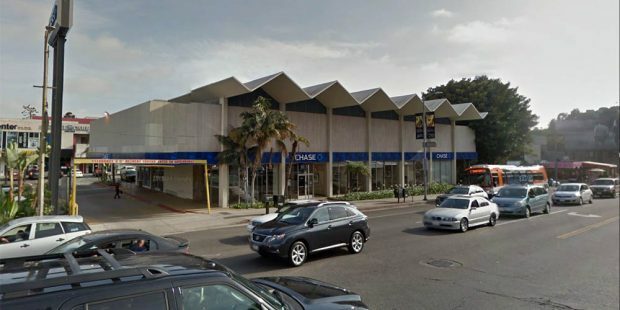 In an unusual move on Tuesday, a subcommittee of the Los Angeles City Council declined to make a recommendation regarding designating the 56-year-old Lytton Savings building at 8150 Sunset Boulevard as a historic cultural monument, instead voting to let the full 15-member City Council make the decision. The five-member Planning and Land Use Management (PLUM) committee was scheduled to vote on the historic designation during its weekly meeting, but citing irregularities surrounding the historic designation hearing, Councilman Mitch Englander, a PLUM member, suggested the committee send it to the full council without a recommendation for action. The Lytton Savings building sits on land approved for a massive retail and residential project on the southwest corner of Sunset and Crescent Heights boulevards, just across the border of West Hollywood. In early November, the full Los Angeles City Council gave its unanimous approval to the project that will have 229 residential units, including 26 for very-low income residents and 12 for moderate-income residents. Owned by Townscape Partners, the project also includes 65,000 square feet of retail space for shops, restaurants and a supermarket. The project, with curved edges and odd angles, is by renowned architect Frank Gehry, the man who designed the Walt Disney Concert Hall in downtown Los Angeles. When Townscape Partners announced the project in 2013, the plan included demolition of the Lytton Savings building, which was designed by noted Southern California architect Kurt Meyer. Now a Chase Bank, the highly praised mid-century-modern building with its zig-zag folded plate roof, glass walls and interior art work offered a radical architectural departure from traditional bank buildings when it opened in 1960. Preservationists petitioned to save the Lytton Savings building. The Environmental Impact Report (EIR) also mentioned it was worthy of historic designation and included several alternatives for preserving rather than demolishing the building. In mid-September the Los Angeles Cultural Heritage Commission unanimously agreed to grant it the landmark status. However, the full City Council must approve the designation before it becomes official. The highly unusual move of approving a project before considering whether to grant historic status to one of the buildings on the site caused Councilman Englander to suggest at Tuesday’s meeting sending it to the full council for discussion without a recommendation on the landmark designation. The other PLUM members agreed with Englander, and the historic designation is tentatively set to go before the full council on Dec. 7. What will happen there is uncertain since the council rarely receives an item without a PLUM recommendation. Traditionally, PLUM and the full council defer to the wishes of the council member representing that district and Councilman David Ryu fully supports the historic designation. Council rules require they take action on items within 75 days of receiving them, so the full council has until Dec. 14 to hear the item. If the full council fails to act by that time, the historic designation is automatically denied. Townscape Partners had indicated they are not interested in keeping the Lytton Savings building on the 8150 property and that it will either be moved to another location or demolished. Speaking during Tuesday’s PLUM hearing, Edgar Khalatian, a land use attorney representing Townscape, pointed out that the 8150 project has now been approved by the full council and that demolition was part of that approval. He urged denial of the historic designation so Townscape could bring in the wrecking ball. During public comment, several speakers cited the need to honor the city’s history and keep the building. Meanwhile, Karen Smalley, who lives near the project, criticized the backward approval process. 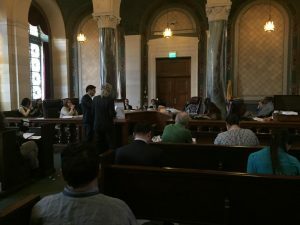 Adrian Scott Fine, who has attended many historic designation hearings in his capacity as the director of advocacy for the Los Angeles Conservancy preservation group, was also puzzled by the project’s approval prior to considering the historic designation. Several public commenters who support demolition said the application for historic designation was merely a last ditch attempt to prevent the 8150 project from being built. Resident Jonathan Anderson called it “a Hail Mary play.” Several other speakers urged PLUM to deny the designation, citing the urgent need for the 38 units of affordable housing and also the desire to see Gehry’s designs materialize. Architect Frank Gehry indicated during the Oct 25 PLUM meeting that he was uninterested in adapting his futuristic designs to be more compatible with the mid-century modern Lytton Savings building and thus keep the building on the site. Gehry explained that demolition was necessary as the construction crane needed to erect the project’s two towers had to be placed in the location of the Lytton building. During the Nov. 1 full city council meeting, Gehry stated that he had no remorse about demolishing another noted architect’s celebrated work, adding that some of his buildings had been demolished over the years. Gehry specifically cited Santa Monica Place, a three-level enclosed shopping mall he designed in 1980 in Santa Monica, as one that had been demolished. The 87-year-old Gehry was incorrect with that statement, as that mall still stands. However, in 2010, Santa Monica Place was renovated and the roof removed to make it an open-air shopping mall. A spokesperson for Townscape did not respond to requests for comment about the PLUM decision not to make a decision. When Gehry’s designs for the 8150 Sunset site were first unveiled, one of the buildings was 234 feet tall, a height that caused outcry from residents living nearby. Councilman Ryu and the City of West Hollywood were able to negotiate that height down to 178 feet prior to the full Los Angeles City Council giving its approval. West Hollywood Mayor Lauren Meister and Community Development Director Stephanie DeWolfe were also able to get Townscape to agree to a 10-foot setback for the top floor of that building on its southern side (which faces West Hollywood) so it will appear less tall and to move mechanical equipment such as air conditioning compressors away from the WeHo border. Additionally, Townscape agreed to give West Hollywood $2 million for traffic improvements and $500,000 for sewer improvements since the 8150 project will connect to West Hollywood’s sewers. Ryu’s office also persuaded Townscape to pay Los Angeles an additional $2 million for traffic improvements in the area. Lytton Savings is no Grand Central Station. Guarantee, anyone who ridiculously declares efforts to preserve a city’s historic resources is a Nimby and a Nimby issue is more than likely working for the developers who want to destroy said historic resources. They throw that word around way too much. This is what the president elect did in NYC.. alot. Greed and money matter way more than historic resources to developers and they have more money than God to hire losers to continue speaking in their favor and against saving historic resources, and all those evil Nimbys. Developers pay off politicians and others very well to speak in their favor, they have more than enough money to even bankroll a presidential campaign and become president of the U.S.A.with absolutely no qualifications whatsoever. Had the ultimate Nimby, former first lady Jackie Kennedy, not led the fight in NYC to preserve magnificent Grand Central Station, that would have been destroyed too. It’s the same NIMBY people that will cry afoul about every little thing. There is a need to make sure that some of the buildings need to be preserved and responsible land use is a virtue to be followed, but saying no to everything for the sake of ‘[preserving the neighborhood’ is not a virtue. Cities change, and those that don’t either die by suffocation from the NIMBYs or die by irrelevancy. Nir, it’s not in Weho. I love historic preservation and will usually side with saving beautiful old buildings in Los Angeles. But Lytton Savings? It’s an ugly 60’s building with a zig-zag roof. Big deal. Maybe it’s karma? Remember what they tore down to build this. The Garden of Allah was something to save….not this building. @The Observer – I can think and express all-by-myself. Respectfully, your opinion would be a better if related to mine if I expressed anything that you speak too. LACC should demolish the Lytton Building at the Gehry site. Another thought Mike before your expiration date, please hurry over to see the historic Beverly Hills Post Office now linked to the present with Zoltan Pali’s Annenberg Center, Marion Davies’s Beach Guest House now part of the Santa Monica Beach Club and the reimagined project embracing the Moderne May Company Building at LACMA. That would be an enlightening afternoon for you. Mike, it’s possible that the LA City Hall built by John Parkinson & A C Martin should in your judgement move on, after all it was built in the late 20’s and it’s time has come and gone. Your expiration date is approaching and I might suggest that you delve into facts and evidence available to and from informed folks that know the Lytton’s value. Part of an architects responsibility is respect for a sense of place and credible projects before his or her time. Had developers like the uninformed Townscape team been unleashed on the world in earlier centuries there might be nothing left except their vision after the giant eraser. The focus of their vision is clearly profit and ego and they chose Gehry as their foil and a free pass. I hope the Lytton Building is going to be one for the history books. LACC should not let a big-box, with a series of pitched roofs, block the visionary Gehry project. Its time! Let the future have its day. I urge, as a Weho resident, The LA Council for its full support in removing the Lytton Building. Now dated and once in vogue architecture, The Lytton Building only takes away and distracts from the wonderment of the Gehry project. Sorry Lytton lover’s, a show piece then but that was sixty years ago. And while I admire Frank Gehry, Meyer’s Lytton Savings Bank should be preserved. As fir Nir’s comment above, he needs to reread the article I believe. Money may talk in WeHo, but that does not affect this Los Angeles City Council preservation decision of a landmark in the Los Angeles City borders. I only needed to read the first sentence of this story to know what will happen to that building. The overly aggressive hostile pro Townscape, anti communities, anti Save Lytton Savings, anti respecting or valuing L.A. historic resources, speakers at every Townscape hearing, and at this hearing yesterday, one must wonder and be suspicious as to why such hostility, meanness, and aggression regarding destruction of a historic building. Why they think they know more about the historic value of this building, travel down to City Hall to contradict and trash the very knowledgable, caring, respectful of L.A. historic resources, hard working Historic Cultural Commission and L.A. Conservancy. These know nothing hired shills aggressively state that Commission is all WRONG, the building has no value, is worthless, TEAR IT DOWN! One must ask WHY so aggressive, WHY does destruction matter so much to them? WHY is it so important they WIN and preservation of L.A. history LOSE? ?Are they on some kind of commission???? Do they not get paid if they lose this?? 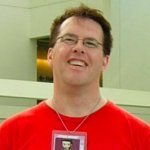 Every controversial project brings with it developer hired hands, this one brought out way more than usual. Speakers should be required to show proof of where they live before they can get up to the mic and lie how much the area needs this obscene project or that, or lie a historic building, so beloved and that means so much to the communities in that area, that the neighborhood council in their letter opposing the project included pleas to preserve Lytton Savings, based on all the community input, and where were all those now declaring..it’s valueless…tear it down! Once again, the city manipulated this outcome, postponing hearing about preservation of Lytton Savings, and now trying to pin it on preservationists that developer hired shills lied are only trying to stop the development project, while truth is, Friends of Lytton Savings are not from this community, some are members on another area neighborhood council, were not involved in any of the Neighborhood Council meetings and Town Halls that went on for over two years, hearing out all the community opposition to the massive project, and expressing hopes Lytton would be saved.. They are preservationists knowing the history and value of this building, and the architect, and working very hard to save it, and the Historic Cultural Commission expressed gratitude to them for bringing this to their attention, and, as one said, preserving it ‘is a no brainer’…Every other city incorporates older historic buildings with the new. NYC does, Boston does. It’s a ‘no brainer’. Except in L.A., run by developer puppets, the mayor and city council, where developers and the money they throw around at everyone rules, and this developer may have broken all records there. Garcetti has filled his campaign coffers from developers like this one, building illegal projects, destroying historic resources, he will never stand to protect. Garcetti must go. And with him most of the developer corrupted PLUM Committee and city council. With all due respect to Mr. Gehry, his statement about placing the crane on the Lytton site is incorrect. Substantial information available places cranes within towers to facilitate construction logistics not on the corner of a site. With all due respect to Mr. Gehry his statement about placing the crane on the Teton site appears incorrect. Substantial information available places cranes within towers to facilitate construction logistics not on the corner of a site. Again and Again, it’s all about money. It’s not about good or bad, right or wrong it’s the facts. we are NOT a village, we are a little city that everything based on the rich and famous. Love from TEL-AVIV. Where we keep our history a live.